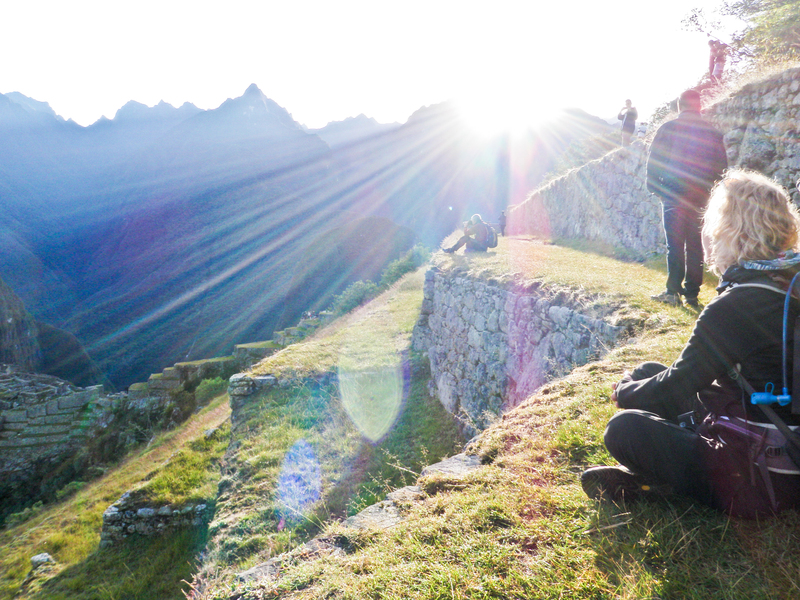 We’ve just returned from a trip to Peru which included quite a bit of time at higher elevations – most notably hiking on the Lares Trail at 4600 meters (15,000 feet) above sea level. The highest thing we have around here is the conspicuous, glacier topped Mount Shasta (4,322 meters = 14,179 feet) and I’ve never even been up to the top of it. 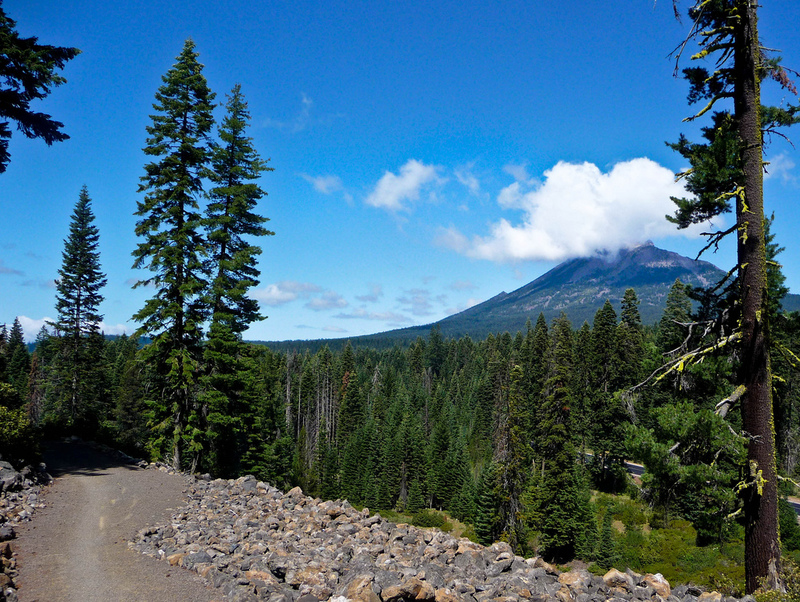 I’ve been up Mount McLoughlin (2,894 meters = 9,495 ft) sixteen times and even back when I was in sinus rhythm I would take one breath per step near the top. I have to admit I was worried prior to going on this trip. I had no idea how the high elevation combined with my persistent atrial fibrillation would affect me. My wife Margo, who is a travel agent, arranged a terrific trip and we had a total of sixteen friends in our group. It was all bought and paid for and I was determined to go no matter what, so I didn’t even research how high elevation might effect my atrial fibrillation before leaving. That’s right – I didn’t even Google it! 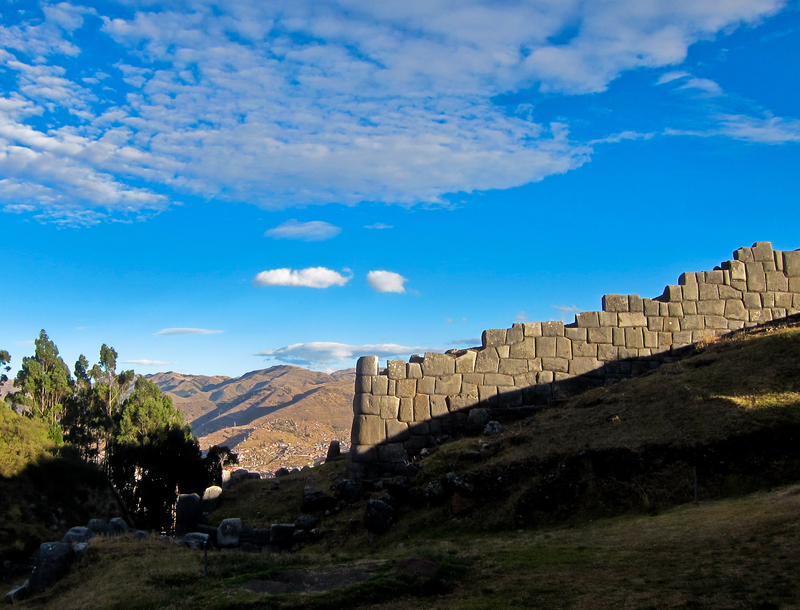 I knew that our outfitter – G Adventures – had a mechanism by which people who had problems with altitude sickness could quickly return to Cusco – so I knew that I had an opportunity to bail out if need be. 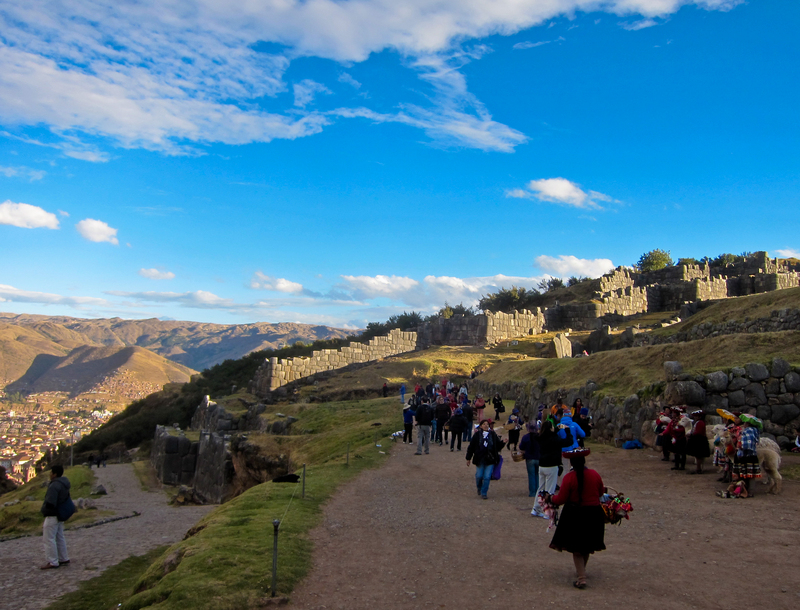 We had two or three days in Cusco, Peru, which is 3,400 meters (11,200 ft) above sea level, so I was able to acclimatize. I felt no different in Cusco than I did at home in Klamath Falls, Oregon (4200 ft) and I even went for a run up to Saksaywaman (3701 meters = 12,142 ft) and it went well – although frankly, because of endless steep hills, it did involve a lot of walking! 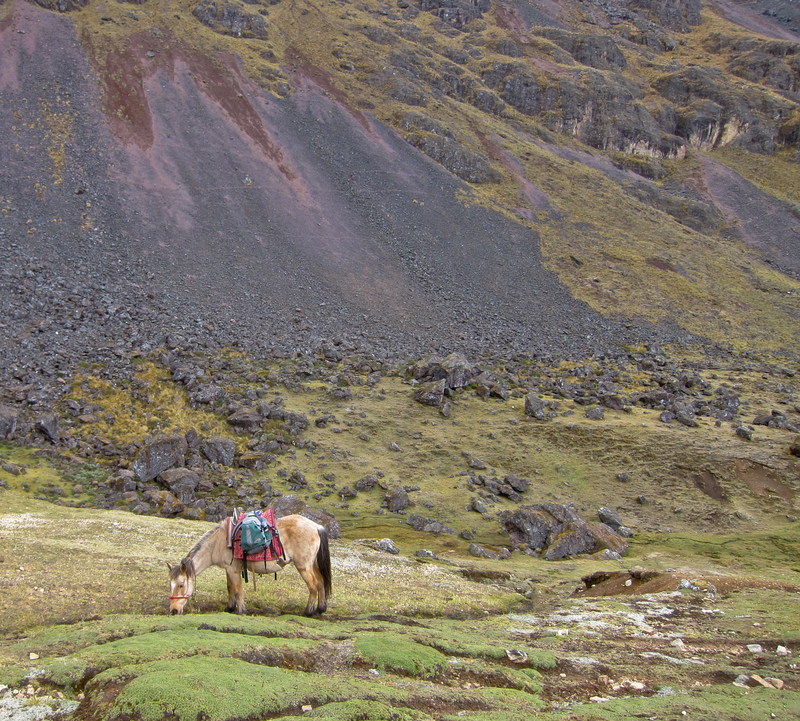 The Lares Trek is a nice alternative to the extremely popular Inca Trail. It is shorter (only twenty-one miles) and higher elevation (4600 meters = 15,000 feet) but most importantly it was not nearly as crowded. There were sixteen in our group (plus porters and guides) and there was one other G Adventures group of ten who we would see once or twice per day – and that was it. In contrast, the Inca Trail hikers we spoke to at Machu Picchu told us there were 200 people camped at a single, large camp outside Machu Picchu who all entered Machu Picchu before dawn on the same morning causing quite a line for the checking of tickets and passports at the small Inca Trail entrance to the site. At any rate nobody in our group had serious trouble with the elevation, although everybody was gasping a bit. Margo was a little sick on the day we went up Ipasayqocha Pass but that was related to the usual traveler’s intestinal distress rather than altitude sickness. 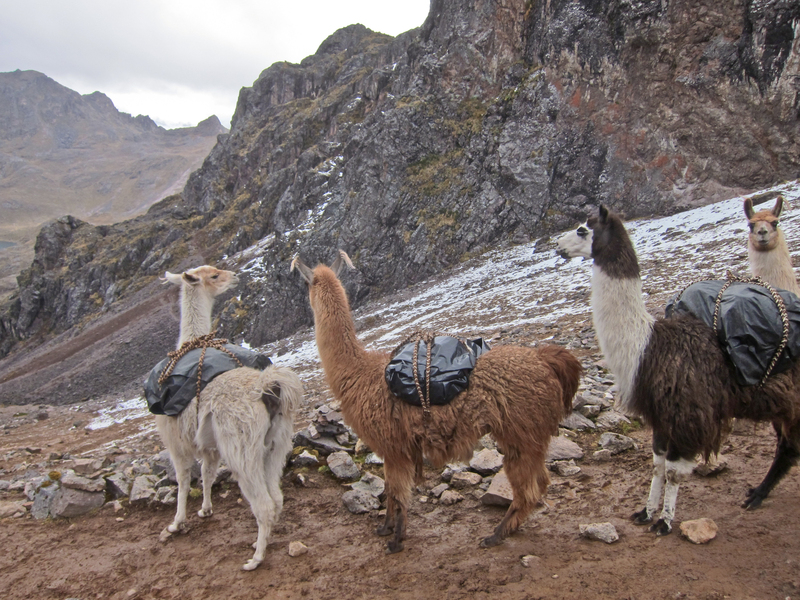 We were fortunate – the guides said that typically in a group our size they would expect three or four people to have trouble with some degree of altitude sickness. Our group was older but fit – but I have been told that being fit or being a couch potato has no bearing on predicting who will develop altitude sickness. Some people get it and others do not. Like I said we were lucky. As for me I had the same atrial fibrillation symptoms I have at home, perhaps a little worse. I was out of breath when I started out but after several minutes I was in no distress. It takes me a while to warm up. 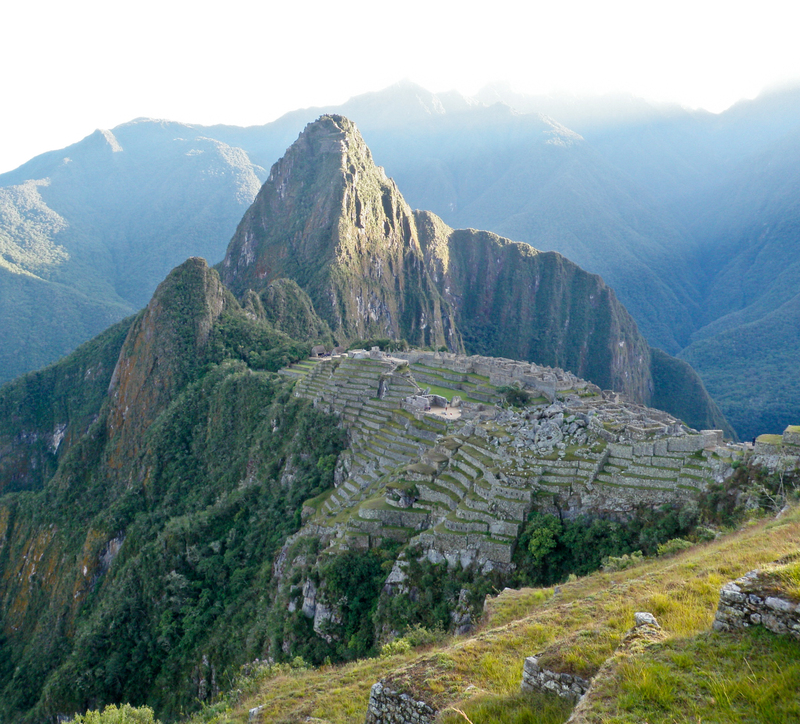 Even in Lima, at sea level, I would huff and puff if I picked up a couple of backpacks and marched up the stairs to our room – that’s just the way it is for me now. 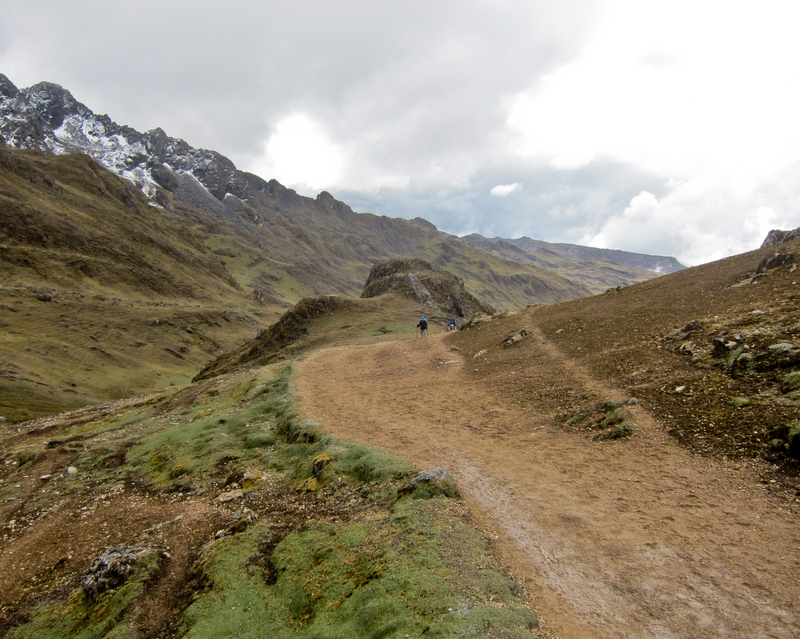 The first 200 meters of the Lares Trail is, I think, the toughest, because it goes up a long section of steep stairs. I was breathing so hard at first that I thought for a bit that I would be turning back – but ten minutes later I felt no different than a normal hike here in Oregon. So to sum it up my personal experience with hiking and running at significantly high elevation while in atrial fibrillation was unremarkable. Your experience may be different, of course. 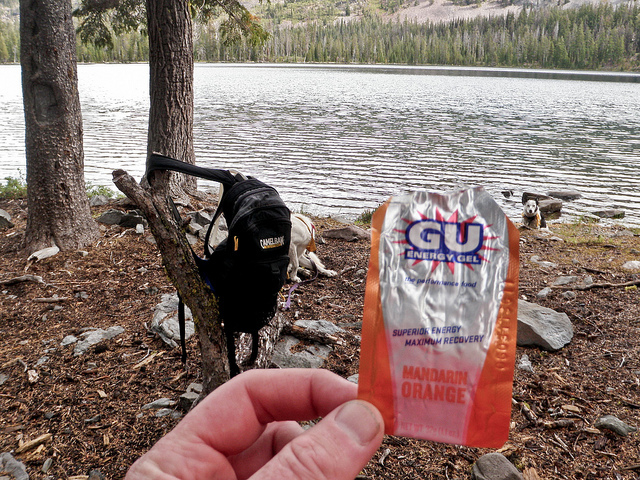 As far as I can tell nobody knows until they get there whether or not they will have issues with altitude sickness – so don’t get discouraged – give it a try. 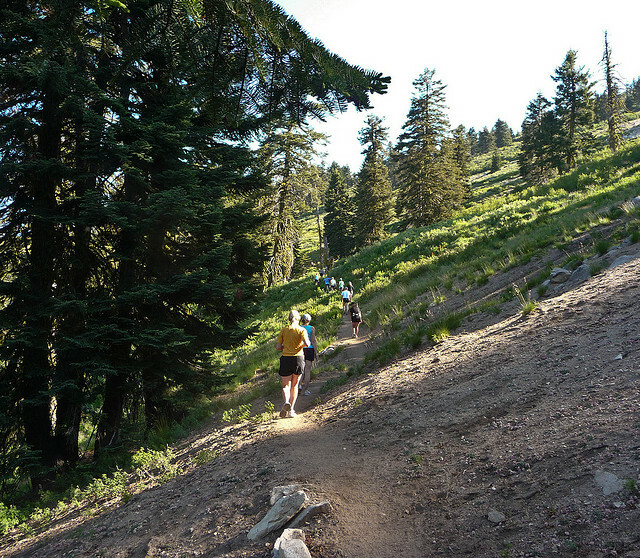 I’m signed up to run the 15K at SOB (Siskiyou Outback) Trail Run July 27, 2013. This is a terrific event and I have done it several times in the past – I’m not sure but I think I have maybe four T-shirts from the event. This will be my first time running it while in persistent atrial fibrillation. So far I have completed one 15K, one marathon, and one 50K while in (known) persistent atrial fibrillation – but of course I suspect that there have been other marathons when I was in a fib but didn’t know it. 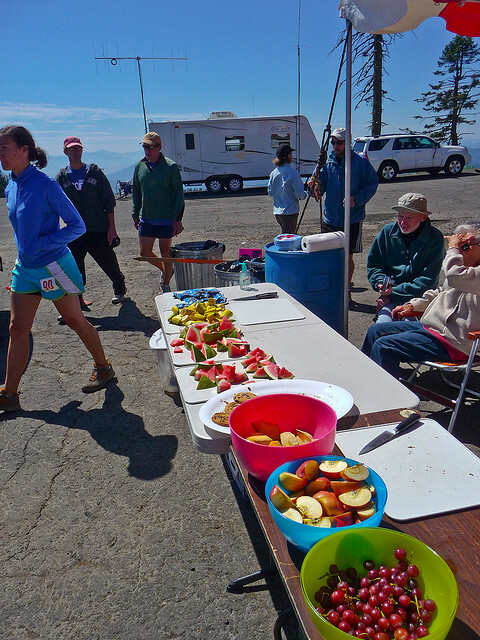 The races begin at the parking lot of the Mount Ashland Ski Lodge and go up from there. In addition to the 15K there are also 50K and 50 mile events. There’s no way I’m in 50K shape right now. 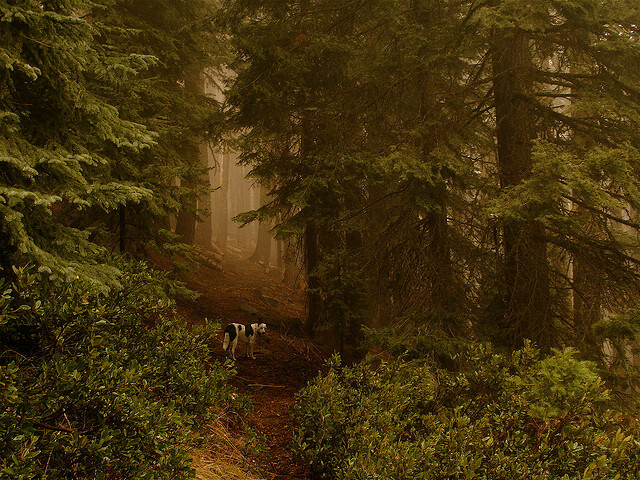 The course for the 15K includes a portion of the Pacific Crest Trail. 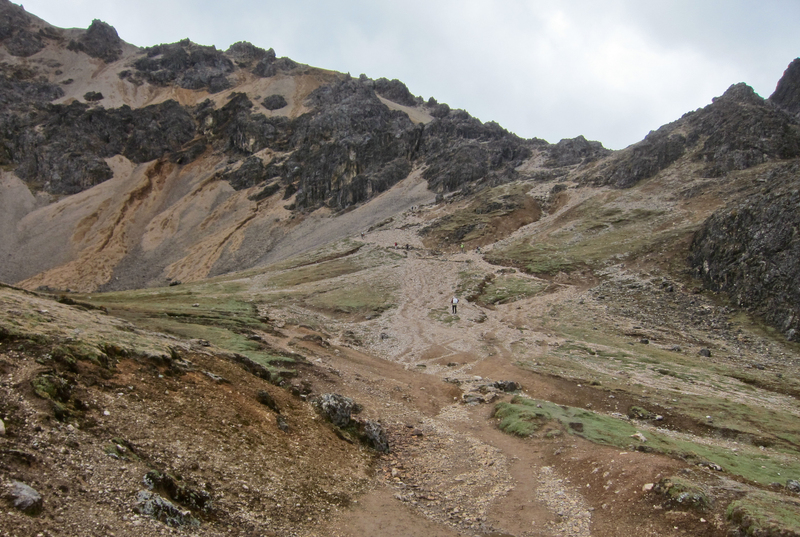 This will be my first time running the SOB in atrial fibrillation – but I’m not too worried about the elevation – not after trekking in the Andes last week at 4600 meters (15,000 feet). This event has always been very well managed, inexpensive, with great music and great food and plenty of raffle prizes. Wait for me at the finish line – I hope to see you there. As I stated previously, when I first discovered that I was in persistent atrial fibrillation I decided that I needed to lose about 40 pounds, and I did. It just makes sense that if my cardiac output is reduced by atrial fibrillation then I needed to jettison some excess weight. My days of being a 235 pound marathon runner were over. My way range over the last twelve years has actually been between 220 and 250 pounds. People were so used to see me that my “normal” weight that when I started to get under 200 pounds they would ask me if I was ill, or even if I had cancer. Losing weight is easier than one would think. There are a lot of methods that work, but the most important thing is to make up your mind. It’s like quitting smoking cigarettes – it’s extremely difficult if your heart isn’t in it, but if you have truly make the decision there’s no stopping you. I have loved drinking beer for my entire adult (and teenage) life, but three years ago I decided to completely quit drinking any form of alcohol. As a matter of fact I try not to take in any calories via liquid. Just quitting drinking beer was good for a ten or fifteen pound weight loss. But even as a teetotaler I could find myself drifting up into the 230s. Over the years I’ve used various methods to lose weight and I’d like to briefly discuss them, and then discuss what I’m doing now, which seems to work the best. Before I actually tried it I had always thought that a low-carb/Atkins diet was a sort of parlor trick. People on it just deplete their glycogen stores (glycogen also holds a lot of water in the muscles) and have a weight loss that wasn’t really true fat loss. But I started seeing patients who were losing a hundred pounds and more on a low-carb diet – eating a lot of meat and high-fat foods like coffee drinks loaded with heavy cream. As a person who has been reading Bicycling magazine and Runner’s World for the last several decades I was stuck on the fact that athletes need a lot of carbohydrates in order to train properly. But I decided to try the Atkins diet for two weeks, using my body as an experimental laboratory, fully expecting that it would affect my training and that I would quit after two weeks. That particular Summer I wasn’t running very much but had been training for some centuries (100 mile bicycle rides) in the Fall. I doubted I would be able to get up any of our mountains without carbohydrates. I was wrong. I found I was able to train normally on a low-carb diet and the sheer amount of weight loss was astounding. Different people, obviously, have different metabolisms – but I found I was able to lose about 30 pounds in six weeks utilizing a low-carb diet. But there were definitely problems with a low-carb diet for me personally. Intuitively I could tell it was not healthy. You can eat bacon for lunch and think “this is great,” but you can’t honestly believe “this is healthy.” It changes, in an unpleasant way, the smell of your breath, the smell of your sweat, and the smell of your bowel movements. Another big problem was that I was never able to stay on an low-carb diet for more than six weeks at a time. I didn’t crave carbohydrates – I just got bored. I grew so weary of eating steak that I would sometimes just skip meals. I also found that while I could train for long-distance bicycling on a low-carb diet, running on a low-carb diet was definitely different. I could still go out and complete long training runs, up to 20 miles, but I was totally wrecked afterwards. My recovery was terrible and sometimes I would come home from a long run, take a shower, and just go to bed. These are the things I discovered by using my body as an experimental lab. After abandoning low-carb diet once and for all, I tried the guidelines outlined in Racing Weight by Matt Fitzgerald. This is great if you are already at a good weight, or just need to lose a couple of pounds – but it really isn’t calorie restrictive. It’s all about the quality of the food you eat. That book was interesting because it had a long section of a day in the (diet) life of quite a number of endurance athletes. I made my own modifications to his points system and printed up little daily tally sheets to keep in my pocket and keep track of my points each day. I would try for thirty points per day. The main problem with this diet is that you can actually eat a lot of good, healthy food, but still can eat a lot of calories. A couple of years ago I discovered, for me, absolutely the best way to actually lose weight. I used an iPhone/Internet app called Lose it! There are several similar applications including My Fitness Pal, Weight Watchers Mobile, etc. With these applications you simply enter your age, gender, and weight – and then you enter how much weight you want to lose per week. The app then tells you exactly how many calories you can eat per day, and efficiently helps you keep track. It doesn’t matter what you eat, you just need to log everything, and nearly every type of food seems to be pre-entered into the application (including foods from specific restaurants). If you eat or drink something that has a barcode on it, like a Clif Bar for example, just scan it. If you log your exercise the program adds more calories to your day. I think just utilizing an application like Lose it! makes it worthwhile getting a smart phone. Some pitfalls, obviously, include miscalculating how much food you actually ate. At first I wasn’t very good at figuring out what one tablespoon actually means. For example – a tablespoon of peanut butter doesn’t mean actually scooping out as much peanut butter as possible with a tablespoon. That’s more like four tablespoons. The exercise aspect of it, I felt, was extremely good. But calories for running are based on your weight, time spent running, and your pace. It really does not take into account whether or not the run was hilly, however. As a big, slow endurance athlete I was able to burn up a lot of calories just by being out there for several hours on any given work out. Although I attribute my 40 pound weight loss to this iPhone app, I no longer log anything I eat with Lose it! but I still use it to log calories burned during workouts, as a rough guide. Ultimately I discovered the documentary Forks Over Knives. The scientist in me found the data very compelling. I then read Eat to Live Joel Furhman – and between the documentary and this book I completely changed the way I eat. Both of these are manifestos, of course, and are manipulative to a certain extent, but I think they are correct. At this point in time I would call myself a lackadaisical vegan. I say lackadaisical because I really don’t read the ingredients for things such as bread, which I know will contain some dairy or eggs, but for the most part I am a vegan. Oh, and I also have trouble avoiding pizza or ice cream which I will have about once per week. So I’m really no vegan, but I guess I’m a vegetarian. We make our own pizza and it’s good stuff – kale, onions, mushrooms, broccoli, and green peppers. At this point in time I can maintain my weight with the semi-vegan diet, and no longer need to log food or count calories. If I started gaining weight again I would definitely utilize the Lose it! app in order to get back down to target weight. So that’s how I did it. Any restrictive diet is effective, no matter which diet, because you end up eating less. For me personally I have found that the low-carb diet clearly allows incredibly fast, significant weight loss – but I didn’t feel that it was healthy. I know that my nearly vegan diet is healthy – I never had high cholesterol to begin with but the last time I checked my LDL cholesterol (a.k.a. bad cholesterol) it was sixty-one. I don’t take any medications except for Pradaxa. I didn’t know LDL cholesterol could even go that low! I would be interested in hearing from other endurance athletes with atrial fibrillation, especially about changes in diet. Please feel free to leave comments. While at my previous job, at Klamath Family Practice Center, I always had easy access to an EKG. Just for the record, remember that I am a podiatrist, not a family practice physician, but if I wanted to have an EKG done I would just have a tech do one on me. I have had a fairly long history of arrhythmias, including PACs, PVCs, and even runs of paroxysmal supraventricular tachycardia. But one day when I returned from a 20 mile trail run I was in a particularly persistent arrhythmia and I wondered if it was atrial fibrillation. I had the tech do an EKG and my suspicions were confirmed. At that point I walked down the hall and went to see my primary care doctor, who is also one of my coworkers, and she recommended Pradaxa, gave me some samples, and made an appointment for me to see my local cardiologist, Dr. Dale McDowell. Dr. McDowell, with whom I have been a patient for the past twenty years, then examined me, did a stress EKG, told me to continue with the Pradaxa, and advised that I should see an electrophysiologist for consultation. 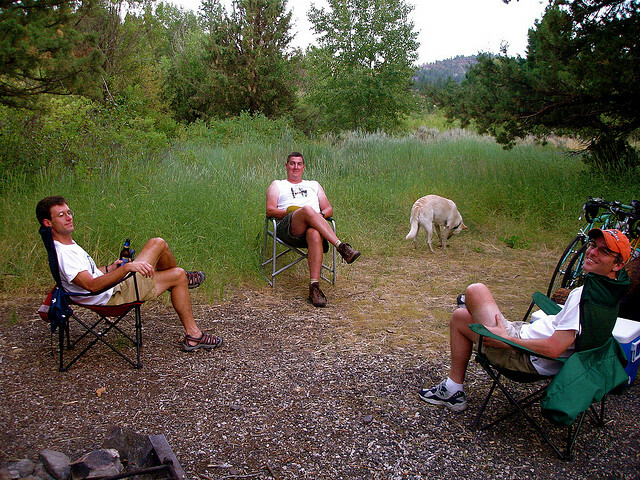 We have several cardiologists in Klamath Falls, all of whom are excellent, but we don’t have any electrophysiologists. An electrophysiologist is a subspecialty cardiologist who focuses on arrhythmias, and are the ones who performed the ablations, install pacemakers and defibrillators, and so on. I think their most common patient is probably people like me who have atrial fibrillation. 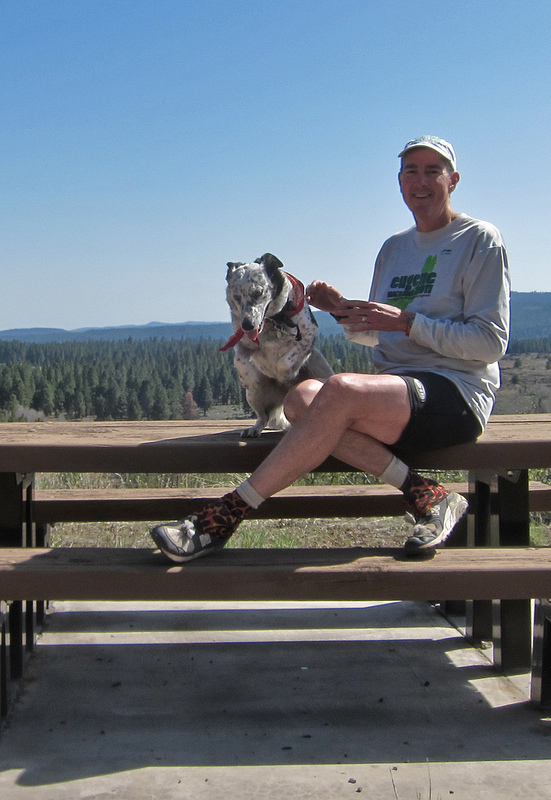 I had an appointment with David Martin, MD of Southern Oregon Cardiology and I will admit that I was extremely nervous about this appointment, because I was afraid that he would tell me I had to quit running and quit mountain biking. Or at the very least he would tell me to quit running marathons and start running 5Ks. I was also afraid that he was going to put me on a performance killing medication such as a beta blocker, or worse, recommend and ablation procedure which could be quite an ordeal. Like other endurance athletes I often have to deal with people that really don’t understand what it is that we do, and why we do it. That’s one thing if it’s a relative, friend, or an acquaintance – but when it is somebody who is going to formulate a treatment plan that is going to affect the rest of your life, it can be a scary proposition. So when I did a Google search on Dr. Martin I honestly wasn’t very interested in where he graduated from, or what he did during his fellowship – I just wanted to try to figure out if he was a runner, bicyclists, or a triathlete. The little blurb about him and the Southern Oregon Cardiology website didn’t mention anything one way or the other, but in his photograph he appeared to be a thin man, and I found that to be encouraging. I think I even searched local race results looking for his name to no avail. When I called to make an appointment I asked the receptionist, “Is this guy a runner, or anything like that?” She said that she had no idea. It took a while before I can get an appointment and in the meantime I had a question. 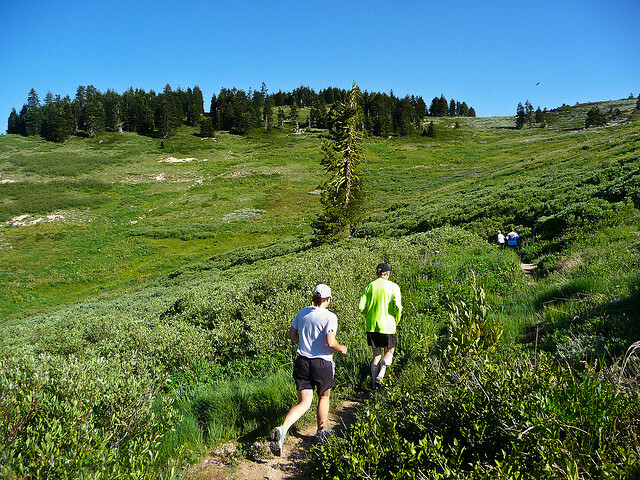 I had spent four or five months training to run an ultramarathon, the Bighorn Mountain Wild and Scenic Trail Run 50K in Wyoming. Even after I was diagnosed with atrial fibrillation I continue to train for this race, which was to be my first 50K. I was getting mixed messages from people as to whether or not I should run it. My primary care physician, who is an ultra runner and has completed a couple of hundred mile races, and who happened to be signed up to run the 50 mile event at the same race, told me to run it. She said it would just take me a little longer – no problem. A friend of mine, with whom I was going to run the race and was also running his first ever 50K, and is a family practice physician in Wyoming, told me to quit complaining and get on the plane to Wyoming for the race. 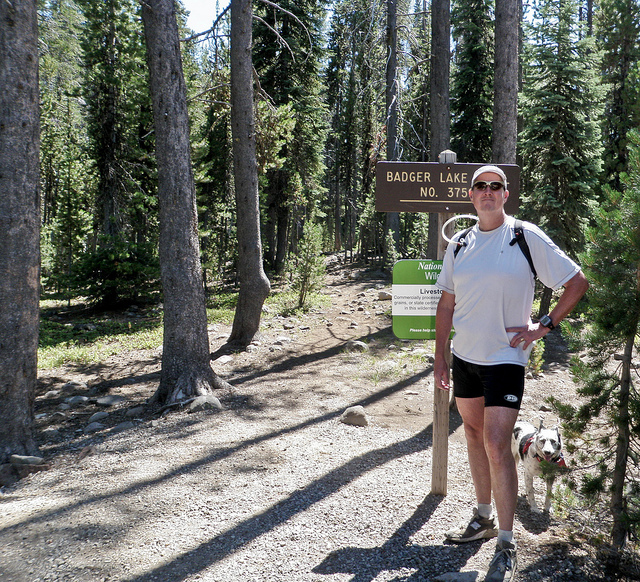 My cardiologist in Klamath Falls, Dr. McDowell, advised me to quit running marathons and not to consider running an ultramarathon. I have a cousin in Chicago who is an electrophysiologist/caridologist and I spoke with him on the phone – he runs marathons and his wife runs ultramarathons. He said I should run it. Another acquaintance, who is a cardiac surgeon, but have never actually examined me, said he thought it might be safe for me to run the 50K, but advised me that it is important that I agreed with my cardiologist (good advice). If you’re keeping track, so far that is four doctors that said go ahead and run it, and one doctor, who happens to be my cardiologist, and has the biggest vote, that said not to run it. 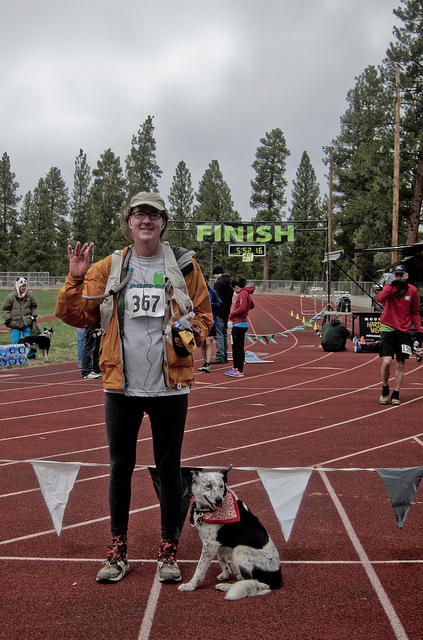 I decided to call Dr. Martin (the electrophysiologist), who would be the tiebreaker, even though I hadn’t been seen by him yet, and ask him about running that 50K. I was able to get a message to him through his nurse, and then she called me back and said I shouldn’t run it. So I didn’t run it. This is unfortunate because I had already paid for it, but when I contacted the race director she told me I would be unable to get a refund, or even a credit for next year’s event. Also, I had already bought an airline ticket Wyoming which is more expensive than you might imagine. I was able to get a partial credit for this. 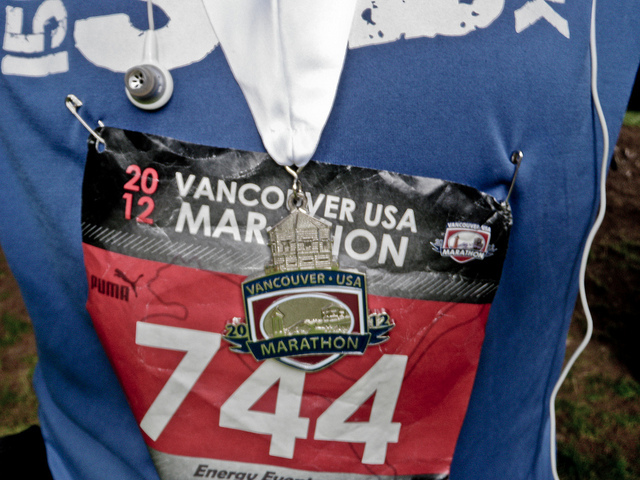 I didn’t want to waste all that training so I decided to run a marathon that weekend. I found a nearby marathon in Vancouver Washington and ran that while in persistent atrial fibrillation. It was slow, but I survived, and that’s another blog article altogether. When I finally got in to see Dr. Martin he examined me, looked over all the EKG’s, the stress test, the chart notes from Dr. McDowell, and the lab work and spent quite a bit of time talking with me. That seems reasonable enough. In fact I was delighted. “People like you are a type . . .” Well . . . that certainly is true. In addition to clearing me to continue with my running, he advised that I did not need to take an antiarrhythmic, which probably would not be very helpful in my specific case, and didn’t recommend a rate control drug at this point in time. Furthermore, he advised me that he thought I had a low likelihood of having a successful ablation procedure given the severe hypertrophy of my left atrium and the fact that the atrial fibrillation was persistent. He did recommend that I try cardioversion with a “one strike and you’re out” policy – that is to say it probably would not be any type of permanent solution, but it is certainly worth trying at least once. That seems perfectly reasonable to me and I went back to Dr. McDowell for the cardioversion, and was in sinus rhythm for a total of thirty-three days. I was so pleased with my visit to see the electrophysiologist, Dr. Martin, that I wrote him a letter afterward thanking him. I hadn’t really expected that kind of empathy. I would be interested in hearing from other endurance athletes with respect to their medical care, and how they perceived the way they were treated by their cardiologists and electrophysiologists. Please feel free to leave a comment. I’ve just returned from a nearly three-hour long mountain bike ride, so I thought it would be a good time to write about mountain biking while in persistent atrial fibrillation (this discussion is pertaining specifically to persistent A fib meaning I am always in atrial fibrillation and don’t ever expect to NOT be in a fib; I think people who have episodes of paroxysmal atrial fibrillation are going to have a different result). One of my main concerns when I was first verified to have persistent atrial fibrillation was whether or not would be able to continue mountain biking. I started road riding in the early 80s, back when I still lived in the Midwest. 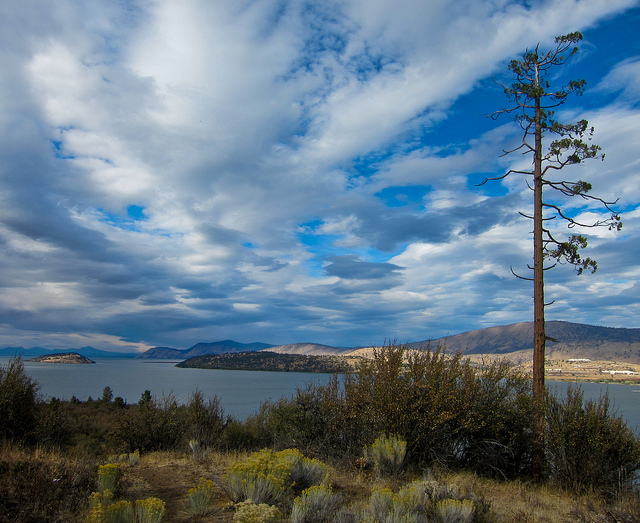 When I moved to Klamath Falls, Oregon in 1987 I began mountain biking. 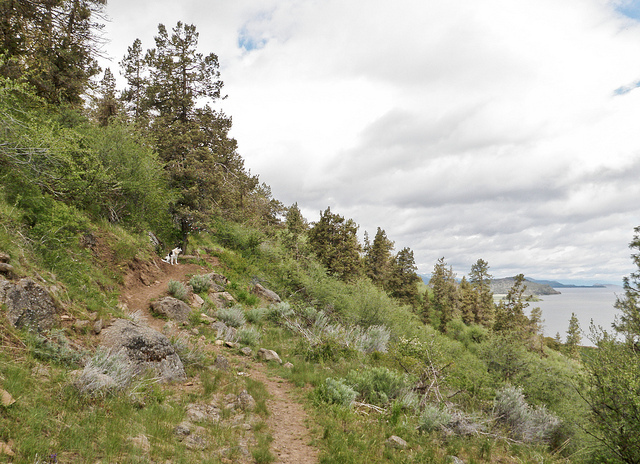 This is a great place to ride, and we have a terrific trail system at Moore Park, as well as a couple of local high mountain singletrack trails that are legal for mountain biking (Brown Mountain Trail, Rye Spur Trail). I feel real connection to these trails and have been riding some of them for over twenty-five years. I didn’t use to run is much as I do now, and back in the late 80s and early 90s I would pretty much mountain bike five or six days per week. I have developed some good bike handling skills, especially since in the early days there was no front or rear suspension, and nobody really knew what they were doing anyway. 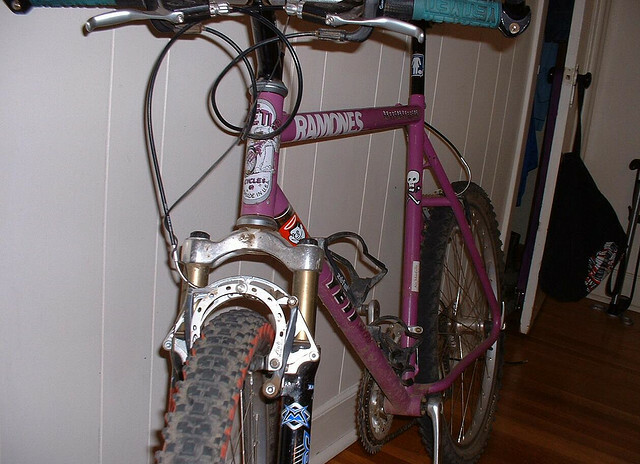 We pretty much plunged our quick release seat posts down into the frame, switched to granny gear as soon as we hit dirt, and would (inappropriately) lock up our back wheels and skid down steep hills – very much discouraged in this modern era. But that’s the way it was – skills develop over time. At any rate I have developed good skills – skills specific to these particular trails, seeing that I generally know every rock and anticipate every little drop off. There are two issues with mountain biking and atrial fibrillation. The first, obviously, is that my cardiac output is reduced by about 15 or 20%, so naturally I am a little bit slower. People get slower when they get older, too, so there’s that to deal with as well. But the real issue, I think, is the fact that I am on a potent anticoagulant – Pradaxa. One of the disadvantages of Pradaxa is that it works really well (but the real disadvantages that it does not have a reversal agent). 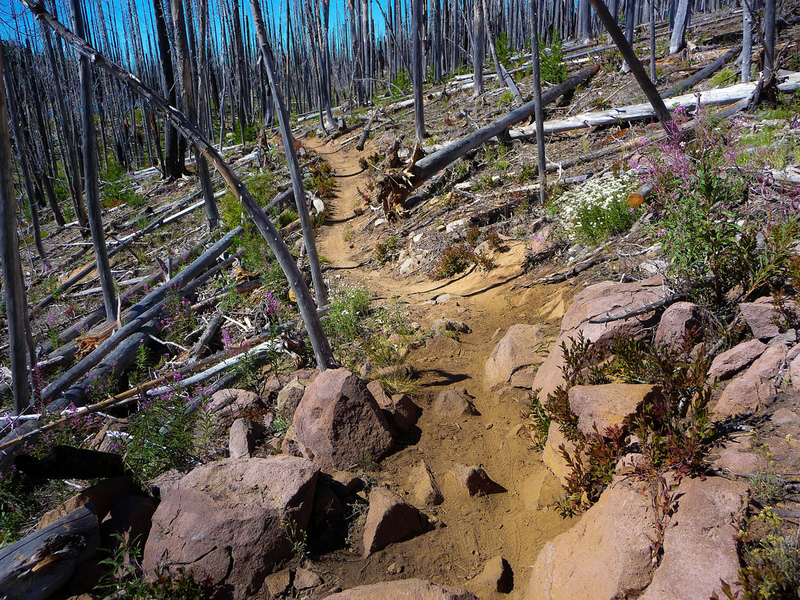 Clearly – there is a risk of bleeding associated with crashing your mountain bike on the trail. I sort of doubt whether Coumadin is that much safer than Pradaxa as far as this is concerned – while it is true that there is a reversal agent for Coumadin, what is the likelihood that, if I had a major crash, I would be able to get to the emergency department in time for them to give me the reversal agent? I generally ride alone, and our trails are pretty remote. It would take a while for me to get out of there, especially if I was bleeding all over the place, or even worse, if I were bleeding into the space previously occupied by important parts of my brain. Over the years my skills have improved and my style has changed quite a bit. At age 53 I’m no longer much of a daredevil (I never really was). Back when I was thirty and was riding about five days per week, I estimated that I had one minor crash per week, and usually one major crash per season. In all that time I think I’ve only actually hit my head once (I definitely recall a bleeding ear after crashing on a technical descent on a trail called Garbage – never liked that trail). I have always felt that all of your instincts and reflexes are directed toward protecting the head. It’s automatic. Of course I have worn a helmet when bicycling since 1983. I even bought a new helmet when I went into atrial fibrillation and started anticoagulation. It fits better than my old one and it’s florescent green, so hopefully I have less chance of being run over by a pickup truck. The only time I have ever had a significant bleeding problem while mountain biking was back in 1990. I came off the trail ride and was heading around the paved road at Moore Park to the picnic area to get some water when some young guys in a pickup shouted at me, “Wrong way, dude!” I didn’t yell back at them, but I turned around and glared at them as I zipped down a little hill to the picnic area, giving them a look that said, “You talkin’ to me?” I was going pretty fast at that point and hit a speed bump that sent me skidding across the pavement for a while. I bet those guys were impressed. Anyway, I had a lot of road rash, was just goes with bicycling to a certain extent, but the worst thing was I had a “degloving injury” on the side of my abdomen. What that means is that part of my skin more or less stuck to the pavement while the rest of me kept moving and the skin was pulled away from the underlying tissue. It didn’t break all the way through the skin, but I developed a hematoma the size of a baseball right where the “love handle” would normally be. Twenty-three years later it’s actually still there to a certain extent, not the blood, but a big lump of scar tissue beneath the skin, and the skin over that area is still kind of numb. That happened with no anticoagulation – I never even took an aspirin back then. If I had a similar injury now that would’ve been a major hematoma – I might even need a transfusion. That’s the risk. Falls are part of riding a mountain bike. I’ve been on Pradaxa for a year now and I think I’ve only had two crashes. I am so much more cautious than I used to be that I rarely ever crash, and when I do crash it usually something stupid like having mud or ice in my pedals and not been able to click out when stopping, falling over like Artie Johnson used to do on that tricycle on Rowan and Martin’s Laugh In. I honestly can’t say that I’ve noticed more bruising or bleeding than I would expect prior to Pradaxa. So far, so good. I feel it is important, however, that when you’re cardiologist tells you that you probably shouldn’t be mountain biking that you do what he says. Don’t be like me. Don’t disregard your cardiologist advice. Do as I say, not as I do. All joking aside – there is a certain risk and if you can accept that level of risk, then continue mountain biking. If not, stay off the trails. As far as how much persistent atrial fibrillation affects my climbing, well, when I first get started it is quite difficult. After I warm up it really doesn’t seem like it’s any different than not be in atrial fibrillation. Recall that I do not take anything like a beta blocker or an antiarrhythmic – if you take medications like that your experience may definitely be different. All I take is the anticoagulant. I’m slow, definitely slower than I was twenty-five years ago, but it almost seems like it’s within the realm of what you’d expect from being that much older. Like I said in the article about running in atrial fibrillation, it’s almost like you’re a pickup truck with a four speed manual transmission, but you can only use second and third gear. But you can still have a lot of fun in those two gears! It just takes a while to warm up. Personally I think road biking is more dangerous than mountain biking, as far as bleeding risks are concerned. All my best crashes have been on pavement, including my best mountain bike crashes (see above). And pavement is usually where cars, driven by people who are talking or texting on smart-phones, hit you. As far as endurance and energy output are concerned road biking, by its very nature, is easier to do in persistent atrial fibrillation that mountain biking. On a road bike you get into a groove, and have a certain steady energy output. That’s perfect for atrial fibrillation. Anybody who trail rides, especially on technical, steep trails, can tell you that mountain biking consists of a little burst of energy here, then a little short, brief period of rest and recovery here (by slow pedaling for a couple of seconds), and then hammering the pedals again to get over the next little obstacle, or whatever. That’s what’s fun about it – it’s almost like doing a puzzle. Trail riding involves a lot of little, short, anaerobic bursts of energy – and of course atrial fibrillation has diminished this ability, as far as I’m concerned. Although, speaking strictly of endurance, I don’t think that is changed too much since I went into persistent atrial fibrillation. I can still ride for just as long as I used to be able to ride. I have found that while I have lost speed with age I have gained endurance in spite of atrial fibrillation. I am very interested in other mountain bikers’ experiences with atrial fibrillation, especially athletes who take rate control or anti-arrhythmic medications. 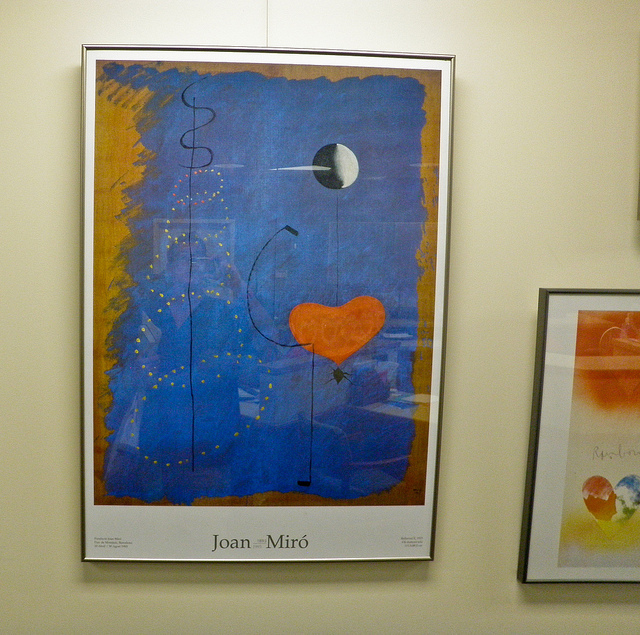 Please feel free to leave comments – Thanks! Being in persistent atrial fibrillation is sort of like being a pickup truck with a four speed manual transmission, but you can only use second and third gear. If you’re going to continue distance running in persistent atrial fibrillation you’d better expect to be slower. I was already slow to begin with – my quickest marathon was four hours and forty minutes and it took me an hour to run a 10K. I’ve always avoided 5Ks because people in 5Ks simply run too fast. Once I was a back of the middle of the pack runner, well, now I’m truly a back of the pack runner. I’ve always been a larger runner, and that’s definitely a factor in being slow. I’ve done a dozen marathons at over 6′ 3” and about 235 pounds, and have often felt that people would “mark” me, use me sort of as a target. I’ve felt particularly self-conscious about those people, often found in the back of the pack in a marathon, who will run up and pass me and then start walking – over and over again. This can be really annoying. One guy did that for 14 miles! I finally told him, “please either keep running or keep walking.” I know that these people are simply followers of Jeff Galloway (there are a lot of them in the back of a marathon pack), but it’s still annoying and it happens every race. But if I was moderately slow before, I’m silly slow now. In an effort to preserve my pace I have actually lost about 40 pounds – but I don’t think I’ve even broken even. I had previously ran ten minute miles in shorter training runs, but now twelve minute miles are more common. As stated previously I had a cardioversion and was in sinus rhythm for thirty-three days – and at my new weight I was delighted to be able to train, for shorter runs, at a nine minute mile if I wanted to – but alas after a quick five-mile run in the thirty-third day I went back into persistent atrial fibrillation. I could feel it immediately and knew what had happened. I imagine that a lot of athletes who are reading this blog are people who have had episodes of atrial fibrillation, or who go in and out of atrial fibrillation. I think people with intermittent atrial fibrillation become much more symptomatic and have a lot more trouble with training. They might not be able to train at all. But with persistent atrial fibrillation, at least in my experience, I have found that I stabilized and am able to train (a slower pace). You just have to get used to it. There are a few major differences, however. Prior to atrial fibrillation, like most runners, I would start out a long run at a fairly quick pace and more or less degrade as far as my pace was concerned as the miles accumulated. But with atrial fibrillation I actually start out quite slow, and after a mile or two find that I have picked up the pace quite a bit. I generally don’t do much interval training, but I imagine that is out of the question at this point. I live and train in the mountains and I can still run hills, but not really very quickly. When bicycling I find I don’t stand up and charge up hills any longer, but remain seated and spin more. Being in persistent atrial fibrillation is sort of like being a pickup truck with a four speed manual transmission, but you can only use second and third gear. You start out pathetically slow, and your top speed is greatly diminished – but she can still drive as far as you want. The most important thing, of course, is that I am still able to continue trail running and mountain biking, and I am still able to participate in marathons and even ultra marathons. I still get to experience the sheer joy of slogging through a long trail run through the forest. I was never going to win any prizes to begin with, so what’s the difference? 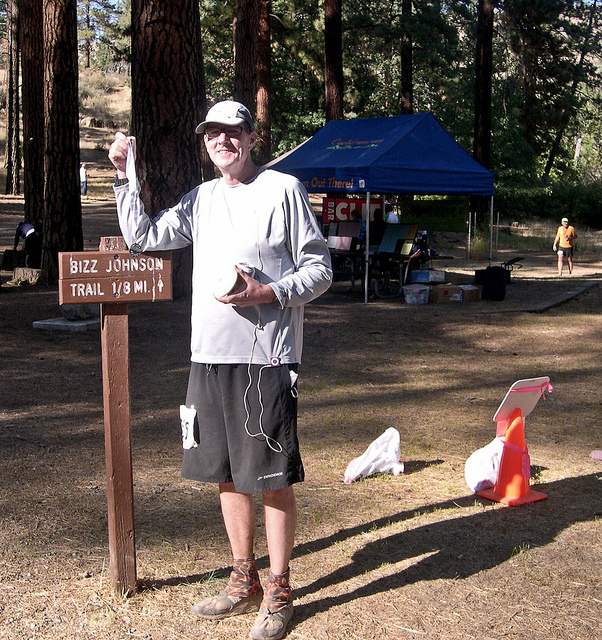 Actually, I was delighted to get a medal for second place in my age group at the 2012 Bizz Johnson 50K, which I ran while in persistent atrial fibrillation. That was the first year they had a 50K at that event and there weren’t very many participants. I’m pretty sure that there were only two people in my age group, but still! Second Place (age group) Hell Yeah!!!! One good thing about ultra running and marathon running, especially compared to 5Ks, for example, is that nobody really cares if you are slow. 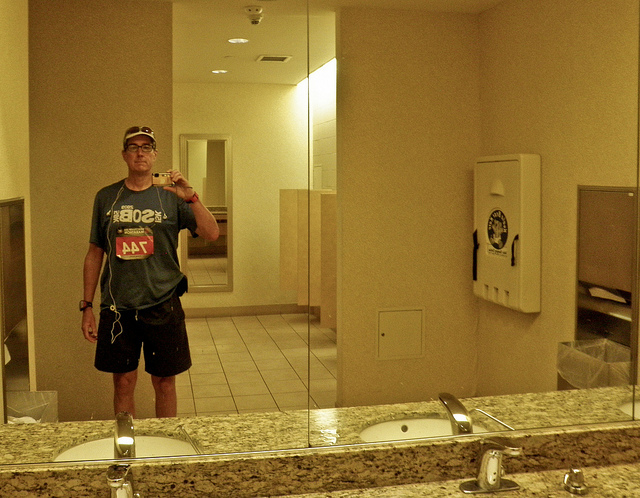 I was surprised that there were many people who finished behind me when I ran my first 50K in atrial fibrillation. Although it is kind of embarrassing to be so slow, you just have to change your mindset, and when you get involved with ultra sports, especially with atrial fibrillation, you need to simply enjoy yourself, enjoy the run, enjoy the trail, enjoy the people, and not worry about time. If there are any other athletes reading this who are in persistent a fib, or intermittent a fib, I would love to hear about your experiences, and I encourage you to leave comments. Even before I was in persistent atrial fibrillation I generally would like to run alone, although occasionally I run with my wife, Margo. Bike riding was different – I would often go for mountain bike or road rides with friends. At this point, however, I generally go alone so I can just keep my own slow pace. 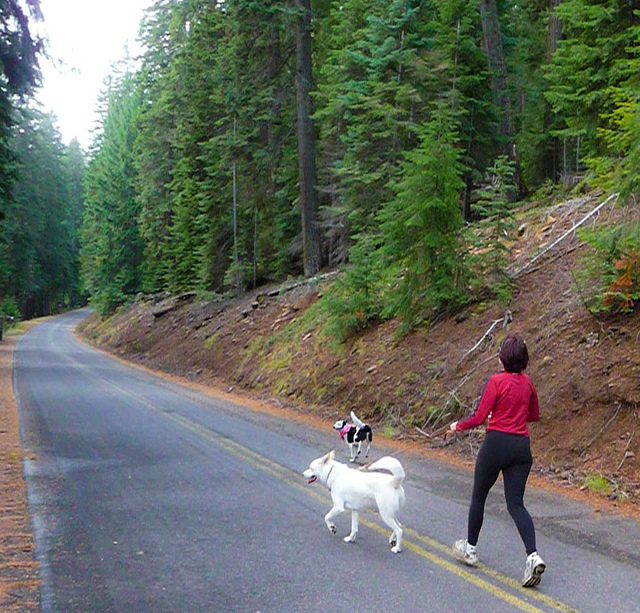 Ninety-five percent of the running that I do is trail running, and almost all that is done with my dogs – so technically I don’t run alone. They don’t care how slow we go – they are simply glad to be out there. 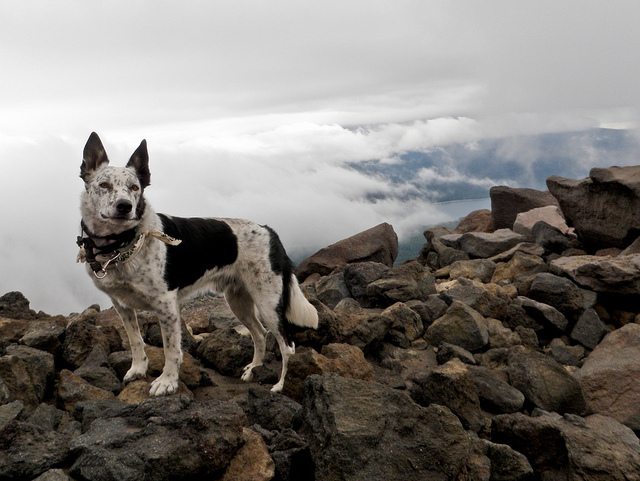 Ringo is a blue healer, border collie cross and is a great trail dog. He behaves well off leash, never chases anything, and always stays with me. 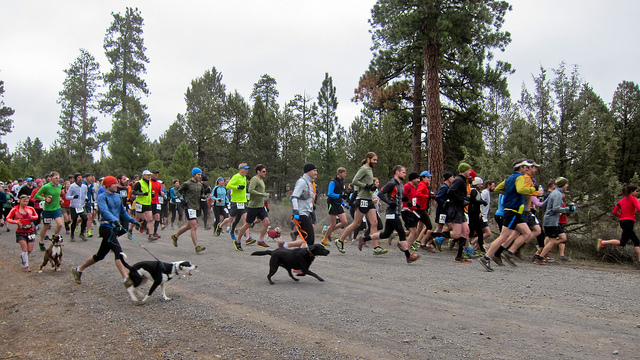 There are a couple of races around here that allow dogs and he always gets to go along for these events. Our other dog, Sophie, is a husky/shepherd cross and pretty much needs to be on leash 100% of the time (otherwise she runs off after God knows what), which can be challenging for trail running. It pretty much completely eliminates Sophie as a mountain biking partner. 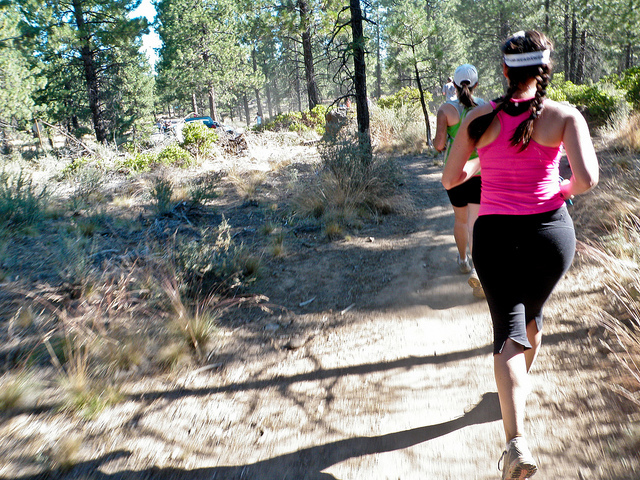 I often run in wilderness areas, or even remote trails near town, and sometimes worry about having a fall and getting hurt on the trail. I guess that just has to be an acceptable risk. 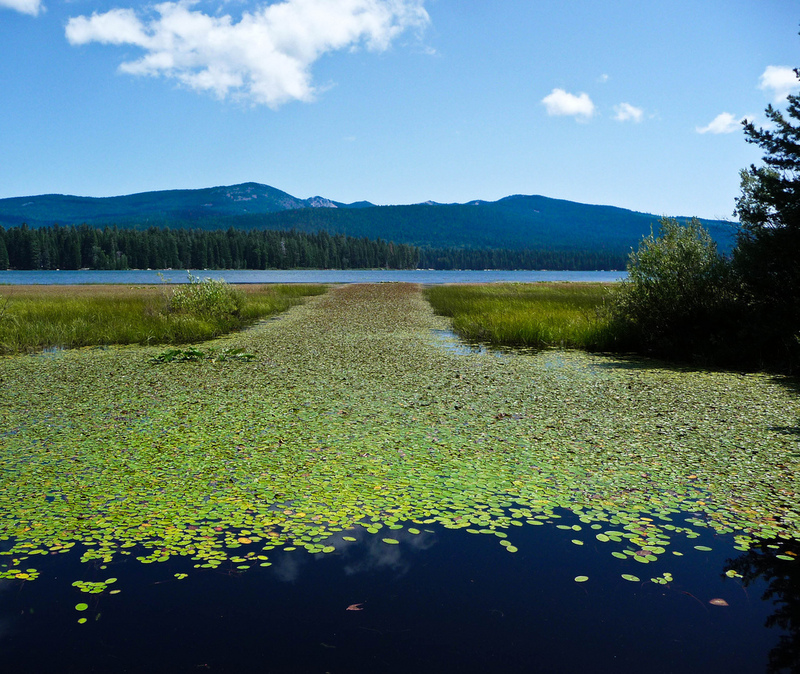 I like to say I’d rather die in Sky Lakes Wilderness (our local wilderness) than at Sky Lakes Medical Center (our local hospital – where I am on the surgical staff) – but I feel sorry for they people who find me – imagine finding somebody on the trail . . . that big and that dead! As a precaution I always like to tell my wife where I’m going, and of course, I always have my cell phone with me. I usually take a bandanna along so I have something I can use for a tourniquet if necessary – don’t forget I am on a potent anticoagulant (Pradaxa). I’d be interested in hearing from other runners and mountain bikers who are training while on anticoagulants and find out what type of precautions you take. Please feel free to leave a comment.